J.D. Wilson commented on yesterday’s blog post, Should it Matter? and he got me thinking about several things. Here is the first paragraph of his comment. Ditto! 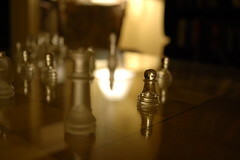 Technology, by itself, will not help, and I think that his comparison with sports rules is very effective. Now I have not been in these classrooms and haven’t seen the students working, but I can’t help but feel that this is not the true reason. First of all, it isn’t technology to our students. There’s nothing special about blogging or working with simulations to them. Participating in large, ongoing, and nearly always available conversations, and playing with simulations is a part of their childhood. It’s part of their culture. We are just now starting to pay attention and to understand some of what our students are doing, but it still looks like technology to us. We see the machines, because we’re looking in from the outside. To them, it’s the information. I think that it has a lot more to do with what they are doing with the technology — and more than that, it’s what they are doing with the information. It is what it is and must be appreciated on its own terms. Students who dislike Chaucer (I am an English teacher) are not going to like Chaucer just because he is being studied using social networking tools. I struggle with maintaining the rigor while trying to make the material as interesting as I can. I agree that Chaucer is not going to come to life just because students are using social networking tools. However, he may come to life, become relevant to their world view, and even become enjoyable because of the conversations that are having in the social networking tools. For instance, you might ask them to share comebacks from the fellow travelers Chaucer wrote about (sometimes insultingly). What might that lazy cook have said back to Chaucer, if he’d been able to read and write. Show students the Where the Hell is Matt (2008) video and ask them how what Matthew Harding did is like what Chaucer was doing. How might Matthew Express his travels without a video camera and with the Internet? Find other traveling bloggers and find comparison, or ask students to find comparisons. I can’t really give a good example, because I’ve never taught Chaucer. But if reading his work was not useful or interesting to someone, we wouldn’t be teaching it. I’m convinced that if we can include our students voices in the conversations, causing them to invest themselves in the study, then Chaucer becomes something else. I agree that a teacher cannot do any more than the community in which she or he teaches will accept and most communities seem to be more interested in talking about reform than in doing the very hard work that reform requires. I think as a culture we have bought into the idea that there are simple solutions to every problem and that is rarely true. Right now I’m sifting through the comments posted during a session I did at Educon, where I asked participants to share examples of information-rich learning activities, and many of the answers were brilliant. But very few of them truly painted a picture of what students and teachers are actually doing. We need to start doing a much better job of visualizing and describing what learning 2.0 actually looks like. It is my experience that modern education is becoming more about documenting what we do than about doing anything. I think the definition of a public school teacher is becoming someone who documents in great detail what they would do if they had time to teach. However, I do not think that simply getting rid of the documenting — the testing — is going to be enough. We need to have something to replace it with, something that is complex, but can be described simply and compellingly. Now I have to rush to the gate. I’m in the Pittsburgh airport, and it’s a lively place! Educon 2.1 is over and I have so many regrets — so many people I did not get to talk with. Entirely unsatisfying. Next year, I’m there for three-days. I sat in on some fabulous sessions, and they were conversational in nature — as advertised. I did hear that some of the sessions ended out being presentations, and I suppose that’s fine as long as it was clear from the start that folks were there to listen and pay attention. I guess that the greatest “aha!” realization to me happened with the early morning panel discussion. I live blogged my notes here. First of all, Chris Lehmann “gets it.” I knew he “gets it” before the panel. He’s not the only person I know who “gets it” and he wasn’t the only person on the panel. But I can’t think of anyone who is in such a perfect position to test “it” and demonstrate what he gets. There are folks I know who are cultivating similar situations, and they are going to be worth watching, but SLA is there.. However, there were two elements of the panel’s conversation that — quicken my heart. One was Gary Stager’s opening and the list of what he believes — and just about everything else he said. I was especially taken with his demand that reform needs to happen locally. I didn’t realize the importance of this statement until a conversation that I had with Steve Hargadon at the end of the day. Stager questions a lot of what I say and write, and I learn from his challenges, but he sees the evils of what has happened to education during the past several years, and he hammers it ruthlessly — and I thank him. My main point is, “Should it matter?” When I try to think about and try to visualize learning 2.0, I’m still getting a fairly blurred picture. It’s the purpose of these conferences, to clarify that image. But I am fairly certain that in the classroom that effectively leverages the contexts and opportunities of our times, our students and their native information experience, and today’s dramatically new information environment, I can’t see that it would matter if the students are tested at the end of the year, or that data is constantly being extracted about their learning. What will be happening in that classroom will be so exciting and so compelling that tests and data will be nothing more than mist on the breeze. 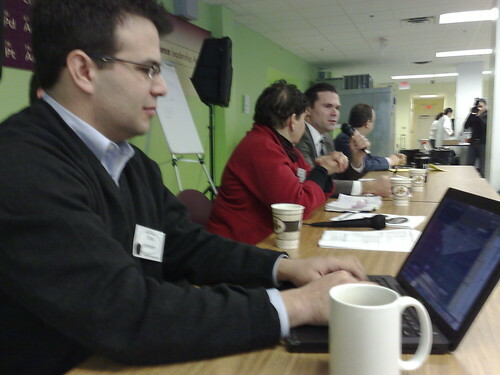 Author David WarlickPosted on January 29, 2009 January 29, 2009 Categories conferences, educationTags educon, educon21, elearning, learning20, warlick11 Comments on Should it Matter? I’m sitting in the Empire Room at The Homestead in Hot Springs, Virginia. It’s somewhere in the mountains, west of Richmond, and I drove through some magnificent landscapes on some truly desolate roads. 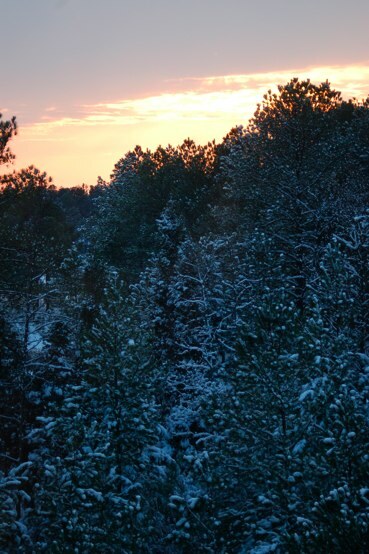 I’ll need to find another route back to Richmond, with snow and ice on the highways. Today’s is about the converging conditions and my audience is heads of school for Virginia Independent schools. But what I’m interested in learning more about is Mr. Charles (Chic) Thompson. He was here yesterday talking about creativity. I have his handouts, which I’ll scour through, but what I’ve heard so far, it sounds like he is a very smart, very interesting person, and a dynamic speaker — and he never finished college. The question to the panel has changed to what does education reform look like, in light of a new president. Lehmann says that accountability has to be a richer more complext conversation. Should be less conformist in nature. Marc Mannella (Principal, KIPP Philadelphia). Betty Manchester, of the Maine Learning Initiative, comes from 1:1 learning environments. 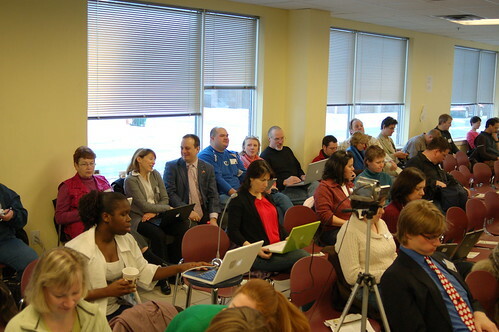 She now manages the Maine International Center for Digital Learning (cool). She says there are eight things that have to be present for reform to work and support to take place. One thing that is unique thing about the Obama administration is that his administration seems able to dive into contentious issues and find consensus. David Bromley has been a high school teacher, school founder, director, and district administration. Now is with the big picture company. They form forward looking schools. He is cautiously optimistic. School is still the only industry that still doesn’t get it. We have to fundamentally change how we look at kids, or else we are not going to make the change. We have to change everything. Gary Stager “I dream of America where the person who is in charge of education is qualified.” Someone else has changed him immediately about Arne Duncan. He goes on to say that we know a lot about what works, and we’ve known it for a long time (referring back to Dewey, et al.). He seem unoptimistic. intiteld to a talented passionate teacher. External assessment is aways disruptive to learning. Considering replicability (? ), Lehmann says that processes can be replicable. But curriculum can not. It’s about people. Question: Can we do with with the teachers we have? Gary Bromley says that the are making a change with kids with today’s teachers. There are a lot of teachers who want to work differently with kids. Betty speaks as the oldest member of the panel speaks for older teachers, who taught in the 60s and 70s still have the passion and the desire to do it a different way. But the policy and the message from the top has to change at the national and the state level. There also has to be a feedback, and open feedback system (pay attention to the teacher). Mike says, “Are we going to let perfect be the enemy of good?” I’m not sure a understand what is meant by this, but want to. How do you deal with administration that just doesn’t get school reform. We have to show them models of success. We need more democracy. Parents can make decisions. Teachers should be able to work in places where they share in the leadership. You can ask parents which teachers is the most creative, which teacher uses the most worksheets and they know. Speaking out against single soslution, one-side-fits-all. Should NCLB die. Stager says, yes. It isn’t that we haven’t fully funded it. He says, “Thank God!” We’re beating kids with the buts of rifles because we can’t afford the bullets.” I love it! Marc says, “This is a very fun panel.” Says he agrees with 92% of what’s being said. Says, “Minimum expectation is our lofty goal, is what’s wrong with NCLB.” Says that data disaggregation is a major move forward. What about diversity in teachers and other educators who are looking to retool teaching and learning. We look around the room, and the majority is white, though diversity is higher than it usually is in these meetings. Betty says that it is usually about money. Are You Asking Dead Questions? I had an amazing conversation last night, with Lynne Anderson-Inman, at the speakers reception for the TRLD (Technology, Reading, & Learning Diversities) Conference. Lynne is the Director for the Center for Advanced Technology in Education, at the University of Oregon. We started the conversation, and the evening with methods for inspiring students to want to learn. Inman told me that they were learning that questions intended to spark learning had to be simple and basic. They had to start small. What is this (holding up a strand of barbed wire)? What is the history of that house on Karl street? What is the story with old Miss Crabgrasse, on East Main Street? These types of questions, she said, tended to lead to more questions, inquiries that take on a life of their own. The questions I was asked in school, and that I asked as a teacer, were not simple and they started in the middle. I asked them only after I had lectured or after students had read their assignment. Then I asked them questions, not to inspire curiosity and inquiry, but to assure that the assignment had been completed and knowledge was gained. These questions were asked, answered, and then they died on vines that could have lead not only to more learning, but to self-personalized engagement. This took me back to a conversation I’d had years ago with Jim Moulton. We concluded for the wildly gyrating logic of our discussion that we should be teaching history backwards. We should start with today and work our way back via various topic threads, that might best be determined by the students. You’d be starting with simple questions about something you can point to. Why is everyone so excited about Barack Obama’s presidency? Why are there all these windmills all over the place? Then you work your way back asking and answering more interconnected questions. It was at this point, that Lynne gave me ample of opportunity to leave, that her next avenue of logic would probably not be of interest to me. Of course, that is no way to stay someone’s curiosity. So she went on, describing her new passion and the subject of her recent grant proposal. It’s Antique Samplers! 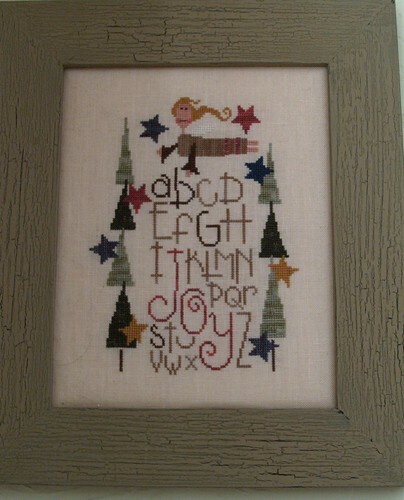 A (needlework) sampler is a piece of embroidery produced as a demonstration or test of skill in needlework. It often includes the alphabet, figures, motifs, decorative borders and sometimes the name of the person who embroidered it and the date. Lynne said that this is how girls (and sometimes boys) were taught the alphabet. They decoratively stitched them on cloth. The practice, for all intents and purposes, ended in the 1860s. But she said that before that time, to be taught writing was not the same thing that we think of when planning writing instruction today. It wasn’t about learning to convey ideas with words. It was about lettering, calligraphy, PENMANSHIP. For the most part, girls were not taught to write, they were taught to read, but not to write — and it was while learning to sew that they learned the letters. When we see paintings from the 18th and 19th centuries of a mother and daughter sitting and stitching, we may be seeing a mother teaching her daughter to read. Inman added that there are instances of women wanting to write (in our sense) and using their leaned skills to do so, producing a letter to a relative by stitching the letters into cloth — or an entire memoir. I wonder when we started teaching writing as a communication skill, rather than just the mechanics — and why? Just about every day I talk about how information, until recently, was a product that we merely consumed. It was a book or magazine we bought so that we could read it, a CD to listen to, or a DVD to watch. Today, we all have the ability to produce a book, music, movies, for others to enjoy — to consume. But does the capacity to produce messages require us to teach the skills involved? No! I don’t think so. What does make the ability to express ideas compellingly so important — so BASIC — is what Daniel Pink characterizes a abundance. There is so much stuff, so many opportunities, so much information, that there is enormous competition for our attention. It is information that competes, which means that for your product, idea, message, or story to gain an audience, it must compete for the attention of that audience. You have to be able to describe it compellingly with the appropriately assembled message. Part of doing this is asking questions that go somewhere. 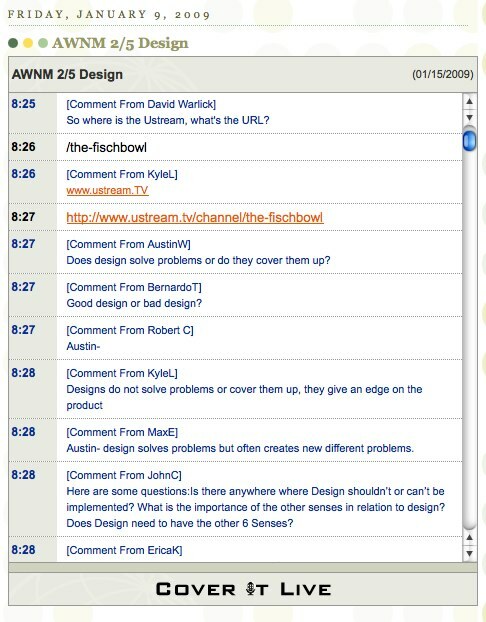 Author David WarlickPosted on January 22, 2009 January 22, 2009 Categories educationTags elearning, literacy, Lynne Anderson-Inman, warlick11 Comments on Are You Asking Dead Questions? The change anticipated for so long by so many came quickly, just after noon in Washington. After centuries of struggle and halting progress, the nation was finally able to welcome … its first White House new media director. 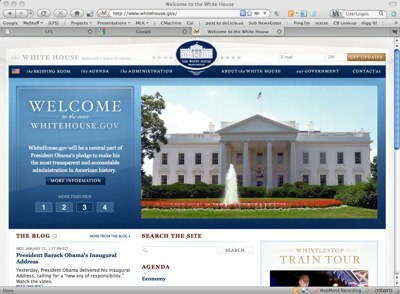 He is Macon Phillips, formerly with Blue State Digital, and he is the first to post in a new White House blog, one of the features of the instantly remodeled presidential site, whitehouse.gov. The site will include a blog, with RSS feed, email updates, text of executive orders and proclamations, and policy positions. Most of this has been around in one form or another. But making good on a campaign promise, “We will publish all non-emergency legislation to the website for five days, and allow the public to review and comment before the President signs it,” according to Phillips. and the never-shy tech crowd quickly stepped up, lobbying for a better way to handle public comments than a corporate-style “contact us” form limited to 500 characters. Does anyone know about any statistics on net traffic, during the Inauguration. I monitored and made a few comments on Twitter, but couldn’t get Facebook to respond. I started out this morning about 17 miles closer to my final destination than we’d originally intended. With the major snow Raleigh got yesterday (reportedly 6 inches), we decided to get me a room near the airport for the night — so that I could rely on the Hilton shuttle driver to get me the final mile at 5:00 in the morning, instead of Brenda having to drive me 18 miles at 4:00 in the morning. I’m not very happy about it, because I was supposed to be at home for a full 24 hours, before setting out again, and I won’t be back until next Wednesday. At any rate, its time to turn forward to a week of excitement. It starts in San Francisco with the TRLD conference (Technology, Reading, and Learning Diversities). It’s an interesting conference that I’ve been a part of several times. What’s unique is that everyone comes out. Everybody, it seems, has a learning disability, and this is where they talk about it. There’s also a lot of cool assistive tech and the conference, in a sense, is like a family. A lot of the people who attend come back every year. Spending a few days in San Francisco also has its appeal. Then I’m rushing back to the east coast for one day of Educon. As a writer said last year, in an article about FETC, Florida’s blockbuster conference, “All the cool people are in Philadelphia, at Educon.” I want to be where the cool people are. Then, it’s the train down to Virginia for an heads of school conference put on by the Virginal Association of Independent Schools. Really looking forward to that one (See What is the Purpose of Education). 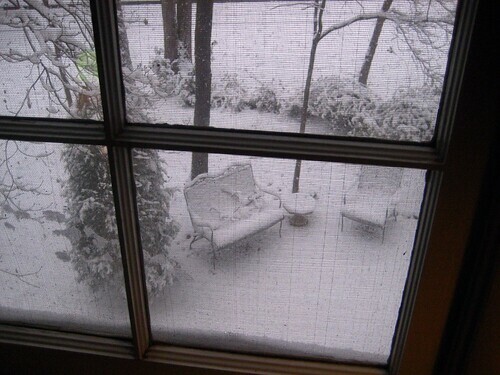 It’s been so long, I’d forgotten that this could happen in Raleigh. A beautiful morning, a beautiful day (Inauguration & turning point for my country), and a little concern about getting to the airport at 4:30 tomorrow morning. It will all work out. Enjoying the snow at the moment. Interestingly, when I search for machine shop, in Flickr this morning, I got a lot of pictures of empty buildings, neglected machining tools, and a rock band. When I searched for assembly line photos, I got mostly pictures of people working together to prepare meals for large groups of people. Over the last few months, I have had the pleasure of working with a number of independent schools. For those of you who work as consultants, you know how different schools can be, especially when you compare independent schools, with public schools, and even more so when you throw in international schools. What teachers and administrators do is not that different, nor is what the schools, classrooms, and libraries look like. What’s different is the conversations. On several occasions, lately, when working with teachers and administrators at independent schools, I’ve been asked, “What is the purpose of education?” It’s not a question that comes out of public school conversations very often. We already know what education is for. The government told us. We don’t even ask any more — and even in this season of Change (http://change.gov/), we’re still not asking that question. Now I generalize when comparing different types of schools, and to be sure, independent schools are also governed by testing, as many of their students attend so that they can get into Harvard, Yale, or Duke (Go Blue Devils). But, again, there is a palpable sense of confidence in the conversations I witness when away from public schools — a willingness to ask tough questions. I’ve had a ready answer to the question. What will their future hold? What will they need to know? What are appropriate method, materials, environment, activity? Who are these children? What is their frame of reference? What drew me to this answer was Karl Fisch’s teleconferencing activity last week (see A 2.0 Sort’a Day: Part 2). As I thought more about the experience, it occurred to me that this was an almost singularly unique activity — beyond the fact that students were interacting with an internationally renowned writer, exchanging thoughtful insights, and the really cool use of technology. What struck me in hindsight was that these students were earning respect. They were respected by each other, by their teachers, by the instructional support professionals, and by the internationally renowned figure, Dan Pink. Their engagement in that activity will continue to be respected by people, young and old, who will read the archive of those multidimensional conversations. Those students were full partners in their learning, and they were entrusted to go beyond just what was expected. They were encouraged to freely extend and develop their own thoughts, skills, and knowledge, building on their own frame of reference, pushing and pulling through conversation, and being responsible for their part of the endeavor. Preparing students based on standards, so that they can pass government tests (to make politicians look successful), carries expectations. Students should listen, study, learn, and assure gain. If they do that, they’re doing what they are supposed to do. We’re happy about it. They’re happy about it. Let’s go home. But, when there is a mission, where teachers and students are equal partners in achieving new learning — and they both realize that it is not simply about new knowledge, but more importantly it is about new potentials, then we’re not just producing cogs for an industrial and societal machine. We all becoming better and more inventive builders of the future. Let me get back down to earth here. Before I graduated from undergraduate school, I spent some time working in manufacturing. One plant made oil filters for cars. Another one made dog collars — for dogs. The factory that I spent most of that year in made chain saws. I started out operating drill presses and milling machines in the machine shop and also spent some time as a setup man. 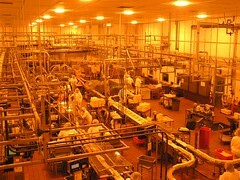 But the last job I had at the plant was quality control engineer. I got to wear a white lab jacket and walk around with rolled up blueprints, spouting vocabulary that I have long since forgotten. Essentially, my job was to take the chainsaw parts at the end of their fabrication and use high-precision measuring instruments to test them, to make sure that they all met the specifications, that they were all the same, and that parts that exceeded the acceptable tolerances from the standards, were sent back for retooling or rejected. How much is this just like what we are doing to our children. They move down the assembly line, where we install math on them, and install reading, and science, and then we measure their learning at the end of the year, to make sure they all meet the standards, that they all know the same things. Of course, this makes perfect sense in an industrial age, where you need workers who know the same things, think the same way, working in unison. In a conceptual age, however, it isn’t what you know that’s the same as everyone else that brings success to an endeavor. It’s what you know that’s different, how you think and solve problems that is different, your ability to bring a new set of knowledge and experience to the task that brings value. Why do we continue to treat our children like cogs. Author David WarlickPosted on January 19, 2009 January 19, 2009 Categories education52 Comments on What is the Purpose of Education? If you haven’t read part 1 yet, then click on back and give it a scan. If you’ve already read it, then you are ready for part 2 — the really good part. 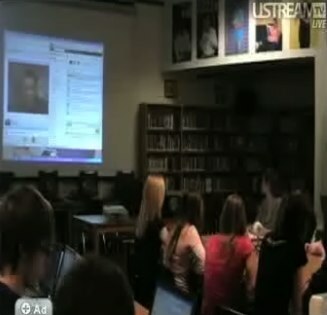 Daniel Pink broadcasted his presence into the school’s library using Ustream. There students, who had already read A Whole New Mind, ask Pink questions about the book. Yesterday’s conversations were about design, one of the six aptitudes described in the book. 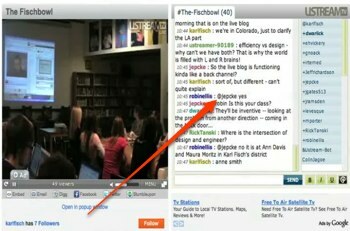 Ustream offers a chat panel, so many of the outsiders who were watching from afar used this chat feature to post comments and to hold conversations in plain view of the students. The teacher, Ms. Smith, also set up a blog for the event and installed ConverItLive on a blog post dedicated for the day. 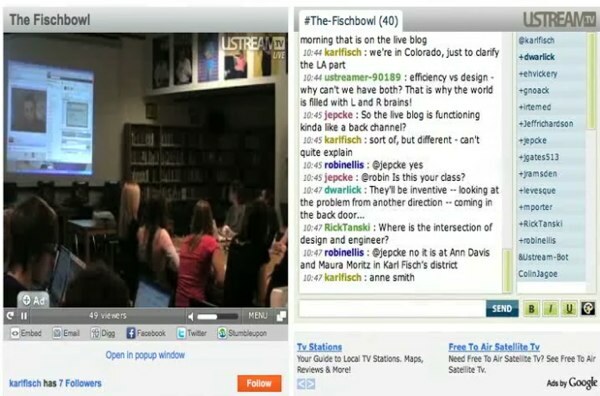 The students, as they were paying attention, engaged in interviewing Dan, and monitoring the chat on Ustream, posted their insights on ConverItLive. I mistakenly thought that that’s where the invited bloggers were supposed to be, so my comments were posted there. Now, up front, this is almost too many channels. It is too much to monitor and react to. So I picked the channels that suited me best (audio and video of the interviews) and responded through CoverItLive. The rest slipped past me. But that’s OK.
You see, what’s new, and cool, and so much in the spirit of 2.0 about this experience is that it is about conversation, and about conversation being turned into content. It was easy to record Dan’s answers and the audio (and video) of the students’ questions. But to have the students (and visitors) engaged in a parrellel, even subterranian conversation about what’s happening in the open air and to have that conversation available for later reference and work, seems extremely powerful to me. Students are not being taught. They aren’t learning to be taught. They are learning to listen and respond, to sythesize and to share, read, work, and reword. 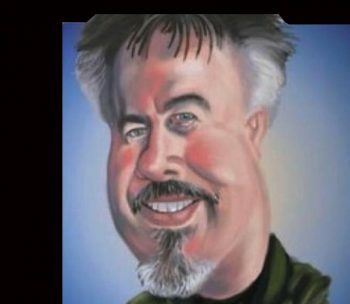 Anyway, you can see the videos of the sessions at Karl’s Ustream channel, The-Fischbowl. Just scroll about 2/3 down the page and click out the video clips. You can also read the students’ CoverItLive transcrip at Ms. Smith’s blog page. Of special interest are the comments posted later by the students. It strikes me that this activity represents a lot of what many of us have been talking about with Learning 2.0. The walls of that library were transparent yesterday. Students were connected, engaged, working, and producing. I’ll likely be talking about this some more.